Hey, folks. It’s been awhile since my last blog entry here, so I thought pop in and give a little recap on last month or so. Really there’s not a lot to talk about since for most part, last month was rather uneventful. Outside of that though, I just have been back on the normal work routine, which thankfully has start to pick up last month. I don’t know if I mention this here, but work has been dreadfully slow during July & August after we made the change to the new work schedule (Due our chief customer [Boeing] not giving us as much production orders, we had overtime hours cut, so our employer wouldn’t have to laid anyone off.). So it feels like a good sign that things did start to pick up last month. Mind you, we are still on the “No Overtime” schedule and honestly I doubt that’s going to change anytime soon. Additionally I will admit I have been sending my resume out to places since I don’t want to be caught off guard, if they do have laid people off. So yeah, that’s my work situation at the moment. I could probably ramble more about work here (Such as one of my co-workers being like the Saint of Food Giving… Honestly that co-worker might just be most generous person I have ever met. 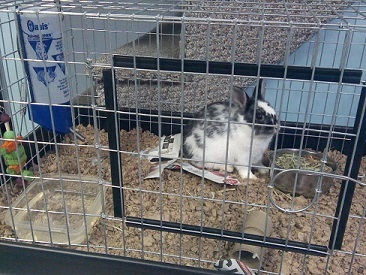 ), but I doubt my ramblings about work will interest you folks. Let’s move on to something else. Hm… What else did I do last month? Well, I played the awesome indie game, Undertale (So far I only got one of the neutral endings since I hadn’t done a second run yet.). Honestly I could gush over how much I like this game, but I am sure you folks have all heard that already from others here and elsewhere on the internet, so I’ll spare you. I will say this though that I highly recommend checking it out (If you on the fence about it, you should give the demo a look.) and well, if anyone on my Steam’s friends list wants the game, be sure to let me know and I might just sent you a copy of the game. Besides playing Undertale, I also started playing Mass Effect 1 (for first time) since by some stroke of luck; my computer “magically” is able to run after I had finished my first playthrough of Undertale. Just to clarified, my previous attempts to play Mass Effect 1 always result in the game minimizing itself, so I don’t think my computer really couldn’t run it per say. But I certainly don’t know why it did that before or why it works now. (I have a similar issue with Knights of the Old Republic game, which kind of why I still hadn't beat that game. That and well, I am not a fan of the combat in that game. *shrugs*) It’s a mystery. 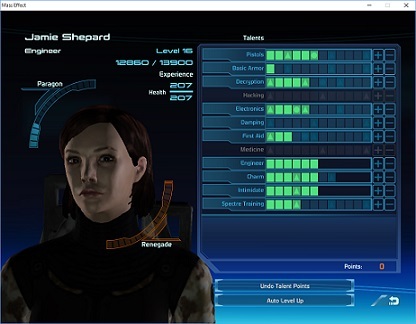 But anyway, my Mass Effect character is named Jamie Shepard (I named her after my Undertale character). She’s an Engineer class soldier and her backstory is spacer and war hero. Although in hindsight, I think I should made her a “Lone Survivor” since I am pretty terrible at the controls in this game (I wish this game had controller support. XD), so occasionally my squad member dies and I have to reload my last save (This game definitely has got me in the habit of saving often like I do in Pokemon games. XD). Garrus and Wrex are so far my favorite squad members (I have brought Wrex with me on almost 100% of side missions that I have done so far). I am currently at the point where you are give free roam of galaxy for first time. So yeah, I am not too far really. I mostly just been doing side quests since well, I want to explore the galaxy before I continue the main story stuff. And man, there are a lot of side quests and so many stories to collect about planets and stuff (I really love world building in this game.). Oh, and here are my Shepard’s current stats and stuff. XD Yeah, I know I am probably investing my points in all the wrong things. Like I probably should put more points into First Aid and Pistols (Especially since that’s only gun that I am trained in since I am an Engineer class.). Alright, I rambled enough about last month. I am sure there are things that I forgot to mention in this entry, but I feel like I have kept you folks here long enough. Thank you for taking the time to read this and I hope you all have a good day. Talk to you later, BZPers. Hey, folks. It been awhile since I wrote an entry here, so I thought I pop in today and give you all an update. I would take some pictures to show you how it looks, but basement is still a bit of a mess as I didn’t have a whole lot time to look through some old junk, ect. But anyway, I think I am getting a bit ahead of myself here. I mean that was the end of my vacation week, after all. Let’s rewind a bit. First though, I think I’ll explain why I was off last week. So this week and last week are what my employer calls shutdown weeks, which are basically their recommended time to take your vacation time and they serve as maintenance weeks since they do a lot of cleaning in the shop during these weeks. Most people at my work are entitled to at least two weeks vacation (You also don’t have to take your vacation time during shutdown weeks.). Although it varies depending on how long you have been there. For me personally, I am only entitled to two weeks vacation (And well, I won’t be getting three weeks until four years from now.). Now usually I only take one week off (And it is usually the first shutdown week, which is the week of July 4th) as it means my second week check is basically a bonus check as I basically get paid twice for a single week, which it is kind of nice. Of course, I am kind of breaking that tradition as I will be taking that second week to go down to BrickFair VA, so no bonus week paycheck this year. 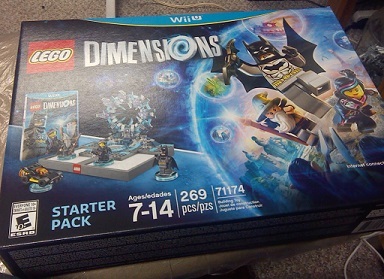 But well, hopefully BrickFair will be worth giving up that extra check. Alright, that’s enough explaining. Let’s get back on topic, shall we? As you already know, I was off from work last week, so the question now is: What did I do during my week break? Honestly not a whole lot really. I did managed to do at least some of my goals for the week such as renew my photo ID (It was going expired at the end of the month), get a hair cut, and confirmed my reservation at Holiday Inn (Although admittedly I kind have a nagging feeling that they create a new reservation rather than update the one that BrickFair VA website place… I am going to have see about calling them back this weekend.). 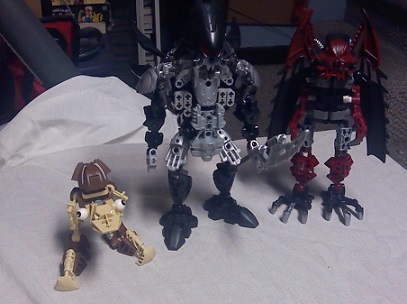 The only goals that I didn’t meet last week were my BZPower related ones really, which were getting my MOCs ready to ship, checking out Bionicle Generation 2 story, and working on a secret project. Well, in the case of the secret project, I have confirmed that one of things involved with it can’t be done, so that’s stinks. I’ll just have to make due with what I have. Hopefully you folks will like it when you see it. As for MOCs goal, I think I might need your folks’ advice on what to send. 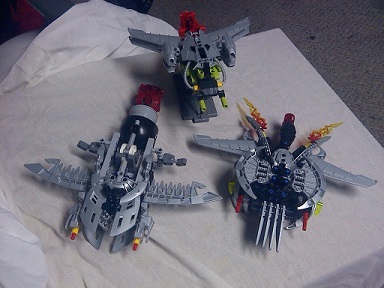 Here are some pictures of MOCs that I am considering sending. Although I should note that I will probably will make some changes to a few of MOCs as some of them still have WIP elements. I am curious though to hear any of your thoughts on them. So if you have any thoughts, feel free to share them. Thanks in advance, if you do. Beside that stuff, I managed to completed a couple of video games from my Steam library last week. Those games were Her Story & Batman: Arkham Asylum. I thought they both were pretty interesting, especially Batman: Arkham Asylum. Like once I started playing it, I just couldn't stop. I spent a good amount of three days exploring the Asylum and trying to find everything I could in the game (I managed to get all Riddler trophies.). So yeah, I rather liked the game and I look forward to checking out Batman: Arkham City at some point. Hopefully it will be just as fun as Arkham Asylum was (Although I imagine finding all Riddler trophies will be quite a task in it considering City looks more open world and stuff.). Uh... That's about it for my vacation last week. Oh, wait... I didn't mention that I checked out my first gaming convention on June 27th. Really I would go on about that here, but I already ramble enough about it on my Tumblr, so I'll spare you the details as I doubt you will want to read the wall of text recap that I wrote there. Hey, folks. I thought I would take the opportunity today to share some of my thoughts on this year’s E3. So first up is Bethesda since they were the first conference, I saw this year. Now I got to be honest I am not really that familiar with Bethesda. I mean I hadn’t play any of their games before (Although I do “own” Dishonored & Skyrim on Steam. I just hadn’t gotten around to playing either of those game. ), so I am not sure really how to judge their conference as I had no expectations for it. Therefore, I would probably take my thoughts here as a grain of salt really. Not that I really had a problem with conference. I actually thought they did pretty well in terms of coverage for the games. Although personally I can’t say I care for some of their games (Such as Doom & The Elder Scrolls: Legends). Really the only games from the event that interested me were Dishonored 2 and Fallout 4. I care about Dishonored 2 mostly because while I have not play the first game yet, I am familiar with the game since I did watch a Let’s Play of it (By Youtuber, Jesse Cox, for those wondering. ), so I am glad to hear there will be another game in that universe. And well, the trailer was pretty awesome and shown off Emily as a playable character. As for Fallout 4, I mostly care abut it due to high levels customization shown off in the trailer and because it looks like it could be fun. *shrugs* I admit I am not completely sold it since it does feel kind weird jumping into a series at fourth installment. Hopefully it will be easy to get into, if I do consider getting it in the future. Alright, that's all I have say on Bethesda conference. Oh, and feel free to suggest some Bethesda PC games to me since like I say I hadn't play any games from them before, so I am interested to hear if there are any that I should check out. Thanks in advance. Next up is Microsoft conference and I'll admit I am not fan of Microsoft really. It mostly because they kind of "killed" Rare Studios. So with that biased in mind, I would say their conference was alright. Outside of that, the HoloLens presentation was kind cool. I am interested to see what might come from that technology. Another cool thing that they announced the Xbox One will now be backward compatibility (It feel a bit late) with Xbox 360. I mean it doesn't interest me personally as I own neither system, but it was a nice thing for Microsoft to do. Alright, that's all I have say about Microsoft. So I guess that sums up my thoughts on them pretty well. Uh, I might update this later with some thoughts. In the meantime, you are welcome to share what you thought was great about those conferences here. Okay, it is time for thoughts on Sony conference. Now unlike Microsoft, I like Sony. Mostly because they seem to have a lot more variety when it comes to games (That and well, the Kingdom Hearts series is primarily on their systems. XD). But anyway, enough about my bias, personally I thought Sony did the best out of these E3 conferences. Like I really felt like they hit it out of park with these cool titles: The Last Guardian, Horizon: Zero Dawn, and No Man's Sky. They also announce stuff like a remake for FFVII and a sequel to an old Sega game, Shenmue III. Personally I am not too excited about those as I am not too familiar with either series, but it was still a cool announcement and I am sure the fans of both series are happy. They shown some footage from Batman: Arkham Knight, which reminds me that I should check that series out sometime. I mean it has my favorite Batman (Kevin Conroy) in it and looks interesting. So yeah, I might have check that out sometime. I actually got Batman: Arkham City from a friend recently on Steam (Thanks again, Makuta Luroka.). Although I should probably play the series in order, so I'll have to see about getting Arkham Asylum. One last thing of interest from Sony Conference was Uncharted 4. I am not really familiar with the series, but it looks might be kind interesting. Hm...Speaking of Uncharted series, is the series worth checking out? I do have PS3, so if the previous games are on there, I guess I could play them sometime in the future, maybe. That's all I have say about Sony Conference. I don't think I need to explain my bias for Nintendo since I think it is pretty obvious that they are my favorite of three major console companies. And well, I have played Nintendo products for majority of my life. So yeah, I definitely I am bias about them. That being said, I thought this year's E3 announcements were kind lackluster and to be honest, I was kind expecting that after they announced that Zelda U has been delayed and wouldn't be show off at E3 this year (I understood the reason for delay and all, but it would been nice to have seen more of development at least.). Still though, for what it is worth, they had one of most entertaining conferences since that Muppet opening was pretty great (I would love to see those Muppets again in the future.). - Earthbound Beginnings (Or as it is originally known, Mother 1): I’ll admit I probably would prefer to have gotten news that a remake was being made of Mother 1 rather than an updated port as Mother 1 is the most dated (Especially in terms of sprite graphics.) of the trilogy. Of course, as soon as I heard the news, I instantly went to the eShop and brought it because I wanted to show my support for the Mother series. Furthermore, I am curious to see how it compares to its sequel, Earthbound. That and well, I am hoping this might convince Nintendo down the line to release Mother 3 here too. Also Wonderful 101 Director, Hideki Kamiya, loves you. - Metroid Prime: Federation Force: Uh, I can't say I care for this one way or the other. Although I do think that it might been a better idea to make a new 2D Metroid game rather than a spinoff. But well, maybe it will surprise me. - Fire Emblem: Fates: I am pretty hype for this game, although I hope they don't make me have to buy the game three times to get the whole experience. - Xenoblade Chronicles X: THE HYPE IS ON FIRE! Yeah, I am mega hype for this game. I am so glad we finally got a release date. - Animal Crossing: Happy Home Designer: I am kind of interest in this. Mostly because I am curious about the gameplay element and how Amiibo cards work. - Animal Crossing: Amiibo Festival: I'll be honest I am only interested in this for the Amiibo figures. XD The game itself, I don't think I would have anyone to play it with. - Yoshi’s Wolly World: I loved Yoshi's Island as a kid, so naturally I am pretty excited about this new Yoshi game and I look forward to play it. - Fatal Frame: Madien of Black Water: I am bit disappointed that they kept this out of Digital Event, although I understand the reasoning. As for my thoughts on it, I am actually interested in it. I watched someone play one of older games in the series before, so I think I will give this game a try. - Chibi-Robo: Zip-Lash: Like Animal Crossing: Amiibo Festival, the Amiibo packed with this is mostly what I care about. - Mario & Luigi: Paper Jam: Okay, I am not familiar with Paper Mario series. But I do enjoy Mario & Luigi series, so I am interested what will come from this. I don't know if I will buy it at release though. - Mario Tennis: Ultra Smash: Eh... Yeah, I can't even pretend to care about this game. And those were my thoughts on the Nintendo conference. Obviously I didn't hate it or something, but it definitely wasn't the ideal E3 event with announcements on big secret projects that making me go, "Take my money, Nintendo." Honestly there wasn't a whole lot of interesting things going on at Square's presentation. Really the only noteworthy things from it were Kingdom Hearts III trailer and Deus Ex: Mankind Divided trailer, which generated major hype for me. And that's all my thoughts on this year's E3. Feel free to share your own here, if you want. Alright, that's enough from me for today. I hope you are having a great week and thanks for taking the time to read this. Talk to you later, BZPers. Hey, folks. Its been awhile since I have done one of these entries, so I thought I pop in and let you know how things are going. Really there is not a whole lot to say. Things mostly been same old same here (Wake up, go to work, go home, use free time in some way, go to bed...Repeat). So nothing exciting really (I mean I would talk about work stuff, but I imagine that would bored most of you greatly.). Uh... I got Splatoon recently, for those that might be wondering (Although my status message here probably gave it away quite clearly.). Personally I am enjoying it. Although I will admit in its current state, it is overpriced, especially if you added the Amiibo for it into the equation. So yeah, I can't blame some people for waiting to get it as it does feel like it could used some more content. Another game mode or two for online would been nice to have. Bosses in single play mode (Excluding Final Boss, whom I am currently struggling to beat.) could use some more difficult as well (Like third boss, I beat super quick. There was little challenge to that one at all.). I don't really have a weapon that I am particularly good at really. Although I like using N-Zap '85 and Splattershot Jr, so I guess you could say those. Oh, and I have yet to use the Amiibo, so I can't really comment on those features. In other news, I been discussing with my friend about BrickFair VA trip lately and well, trying nail down a bit of schedule for us since its good to be prepare and stuff. And well, I thought maybe I should ask you folks for some advice since a lot of you are veterans of this kind of thing and I am kind of noob with this traveling stuff. So yeah, I appreciate any advice. I guess write some general questions for you folks to answer, if you want. 1) Is there any particular event at BrickFair VA that we should check out while we are there (Outside well, the MOCs and the people)? 2) Is there anything outside of the con that we should check out (Museums, ect)? Congrats! I'll be sending you a PM shortly to request where to ship it to. I hope you like it. 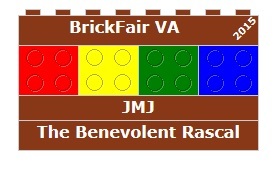 In other news, I have made up my mind about those summer plans that I mention here previously and well, I decided I am going try to attend BrickFair VA in full this year (We will see how well that goes. At very least I'll have story to tell. XD). So I have started the registration process for it today and well, here's what I decide my Brick Badge thing will be. (Credit goes to Takuma Nuva for second Brick Name). Alright, that's enough from me for today. Thank you all for taking the time to read this and I hope you all have a great weekend. Talk to you later, BZPers. Entry Period is closed now. I should have results up in a bit. Hey, folks. 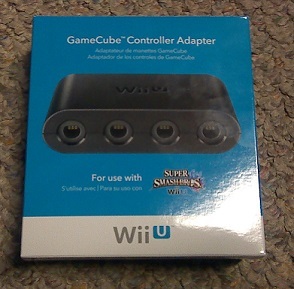 I thought pop in today and let you all know that I have a GameCube Controller Adapter up for grabs (Mostly because the friend, that I brought it for awhile back, doesn't need it actually since they manage to find one themselves.). So yeah, if you want it, leave a comment in this entry. Oh, and to be fair about it, I am going pick who will get it from a random number generator. Also you have till midnight on Friday night (AKA February 28th [Saturday], 12:00 AM EST) to leave a comment here. That's all I got to say for this entry. Thanks for taking the time to read this and may the odds ever be in your favor. Talk to you later, BZPers. Hey, folks. As per tradition, I thought since today is last day of my holiday break that I would pop in and give a little update on how it went (Admittedly I did work on 29th to 31st, so I wasn't off really the whole week.). For the most part, I would say I had a pretty good break from work. Although it wasn't very productive break really. I managed to finished Ace Attorney Investigations: Miles Edgeworth. I thought overall the game was pretty good and it makes wish Ace Attorney Investigations 2 was translated in English as I would love to play it. Also I must say that game's final boss have got to be toughest boss I have ever faced in the Ace Attorney series so far. Speaking of Ace Attorney series, I started Dual Destinies this week. Although I didn't get very far in it. I just finished the first case and start a little bit of second case. So yeah, I am not very far in it. I also have a bit mixed opinions about some of changes in it (Such as Phoenix's voice). *shrugs* I am keeping an open mind though and I still having fun with the cases, so those mixed opinions are minor annoyances at best. In other gaming news, I unfortunately didn't manage to play any Pokemon this week or last week (My little brother is now ahead of me in the game and he's only had it for like 10 days now. [I brought him a 3DS and Aqua Sapphire as a holiday gift.].). I did get play some Smash though and I did like two online matches. The first one I got pretty much destroyed in. Second one though I didn't do that bad in. I definitely need to train myself some more though. Hm...I would mention how much I spent on Steam Winter Sale here. But I kind don't want think about that. XD Let's just say I took advantage of it and be done with it. Also I wish I realized earlier that Winter Trading Cards expired at the end of sale as now I have a bunch cards in my inventory wasting space (I can't delete them.). I feel like Steam needs a trash can in their inventory system. But anyway, outside gaming stuff, I managed to watch a bit more Star Trek: Voyager. I am currently on Season 5, Episode 24. And well, I been enjoying the show (Captain Janeaway is pretty awesome.). 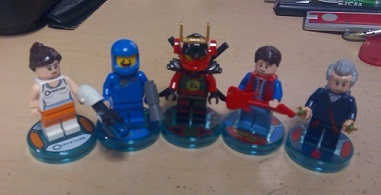 Beside that, I managed to pick up some BIONICLE 2015 sets (Protectors of Fire, Water, Ice, and Earth). I hadn't build them though. Also I got the first three Books of the Legend of Korra on DVD (I got that as a gift from a friend.). I plan on binge watching them all after I get Book 4 on DVD. Oh, and I did some cleaning in the basement. It still a long way from being perfect, but I think I made good progress on it this week, so I am happy. I would like to get fish tank down here clean out by this month as it would be nice to have some fishes again. So hopefully even though I am going back to work now, I'll be able to find the time to do that. We'll just have to wait and see. So yeah, that's pretty much all eventful things happened during my holiday break from work. Like I say earlier, I wasn't very productive. I would ramble more here, but I don't want take anymore of your time. That and well, its late here and I should probably go bed.